The Eiffel Tower and its restaurant, Stars of Paris ! An evening not to be missed ! 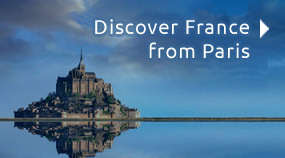 France Tourisme offers Eiffel Tower dinners, to discover the icon of the Parisian capital. The "58 Tour Eiffel" restaurant is located on the first floor of the Eiffel Tower and its name comes from its height 58 meters above the floor. The atmosphere is reminiscent of an airship moored above Paris, the large bay windows look out over the Seine and the Trocadéro and makes you discover the best of the capital. 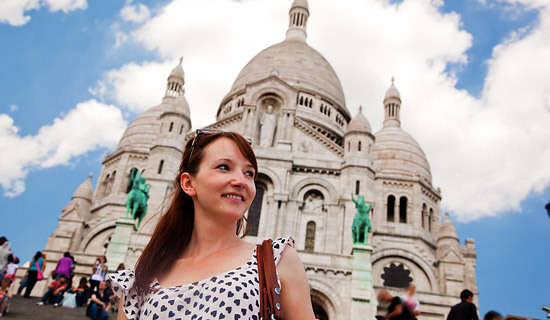 A dinner at the Eiffel Tower restaurant is a compulsory way to succeed your stay in Paris. France Tourisme suggests you, for your Eiffel Tower dinner, a dinner within the panoramic restaurant the "58 Tour Eiffel", totally renovated, to live a memorable moment. 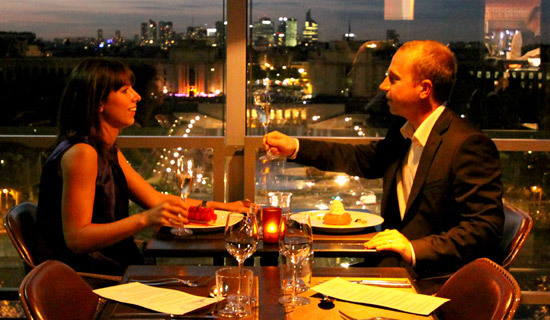 An Eiffel tower dinner at the Restaurant "58 Tour Eiffel" will charm you with its panoramic point of view on the whole capital. Dinner at the Eiffel Tower restaurant - BEST PRICE ! SPECIAL OFFER ! 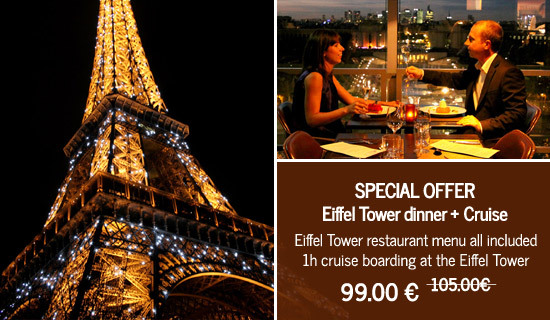 An unforgettable dinner in the restaurant "58 Tour Eiffel" with priority access tickets to the 1st floor included. Enjoy this restaurant with its large bay windows look out over the Seine and the Trocadéro. Paris from the sky ! 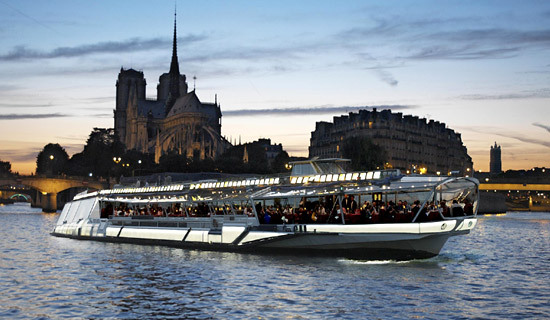 Enjoy a pleasant dinner in the restaurant "58 Tour Eiffel", followed by one hour Seine cruise to discover the heart of the capital. Access ticket to the Eiffel Tower first floor included. 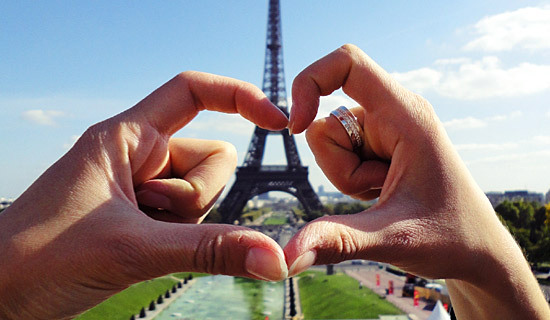 Symbol of Paris : the Eiffel Tower! 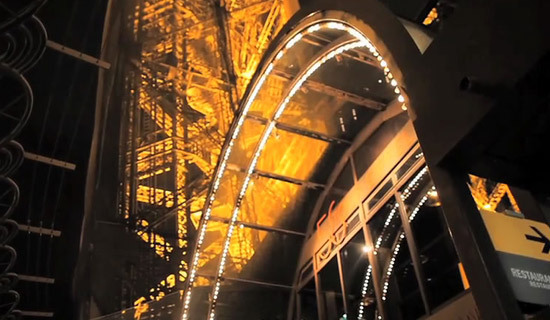 A dinner in the "58 Tour Eiffel" is an opportunity not be missed ! The "58 Tour Eiffel" restaurant is located on the first floor of the Eiffel Tower and its name comes from its height 58 meters above the floor. All of Paris in a magicical evening ! 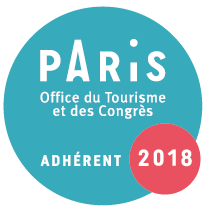 Meeting in Paris not to be missed ! Come to admire the Eiffel Tower during a wonderful dinner in the panoramic restaurant "58 Tour Eiffel", with a point of view unbelievable on the capitale. 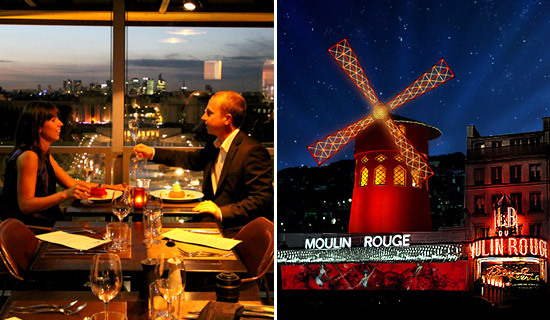 Then, you will board for a Seine cruise and to end up, you will attend the show of Moulin Rouge music hall. 2 "monuments" of Paris in a unique evening ! Prestigious moments during one full night in Paris ... 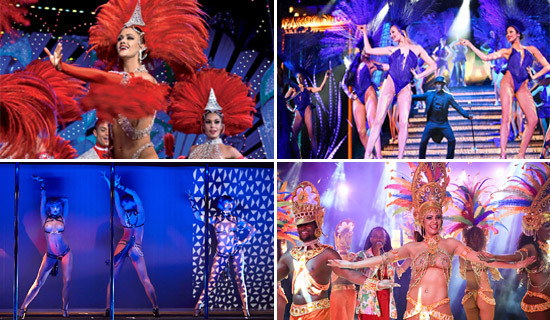 Starting with a delicious dinner within the panoramic restaurant 58 Tour Eiffel, followed by the new Show PARIS MERVEILLES of the Lido de Paris. 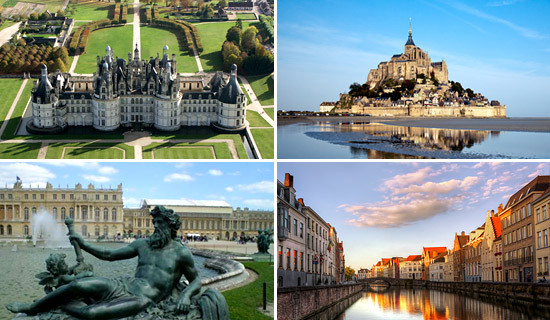 If you choose the 11:30 p.m. show a Seine cruise is offered !